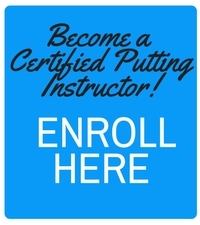 Frankly Golf is pleased to offer the online Certified Putting Instructor (CPI) Course, designed to help you take your teaching, your students, and your business to the next level, as an expert in putting instruction. You are eligible for this course if you are passionate about the game of golf, enjoy teaching and helping others improve their putting enabling them to enjoy their game more. For more than 20 years Frank Thomas and Valerie Melvin have been researching and observing putting. In the CPI Course they share their unique experience, insights and knowledge. Together they owned and operated a state of the art putting academy for over a decade, developing some of the best young talent from around the world and helping all levels of golfers. 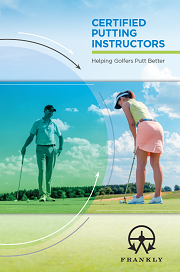 Learn from their years of research and experience, with techniques and processes that will make your putting lessons effective, simple and fun for both you and your students! Valerie Melvin: Scottish international golfer and putting researcher–B.Sc. (Hons.) Psychology –M.Sc. (Med Sci.) Sports & Exercise Science –Co-author of four golf books.